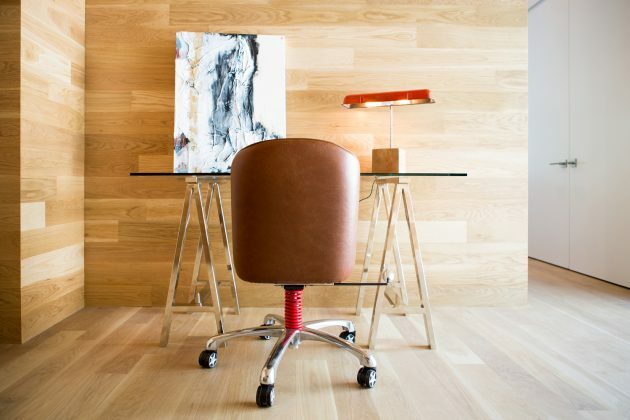 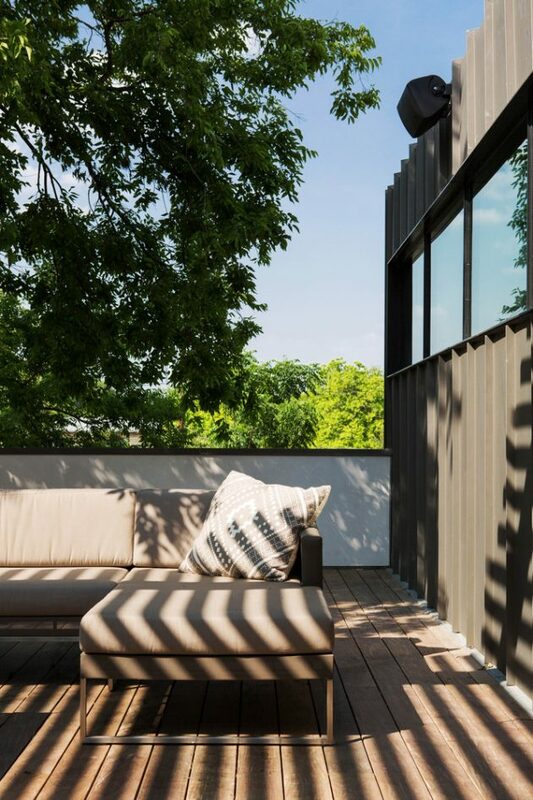 Matt Fajkus Architecture is a Texan studio which you might know from their Tree House project. 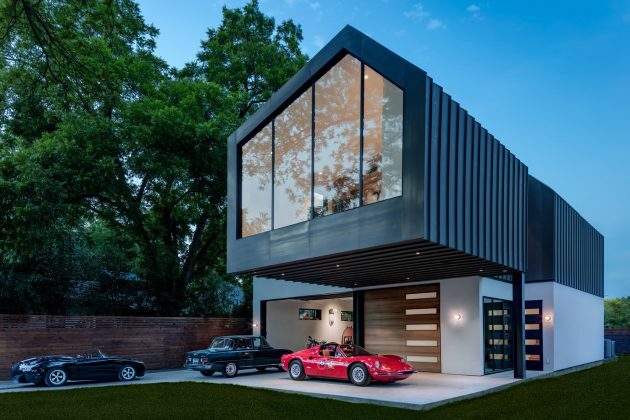 Today we are going to give you another reason to get familiar with this studio by presenting you their Autohaus project located in Austin, Texas. 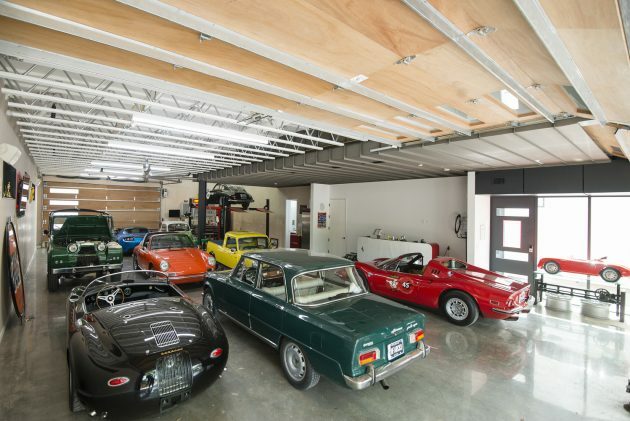 This 4,088 square feet home is every classic car collector’s dream featuring an entire floor dedicated to gathering and displaying classic cars. 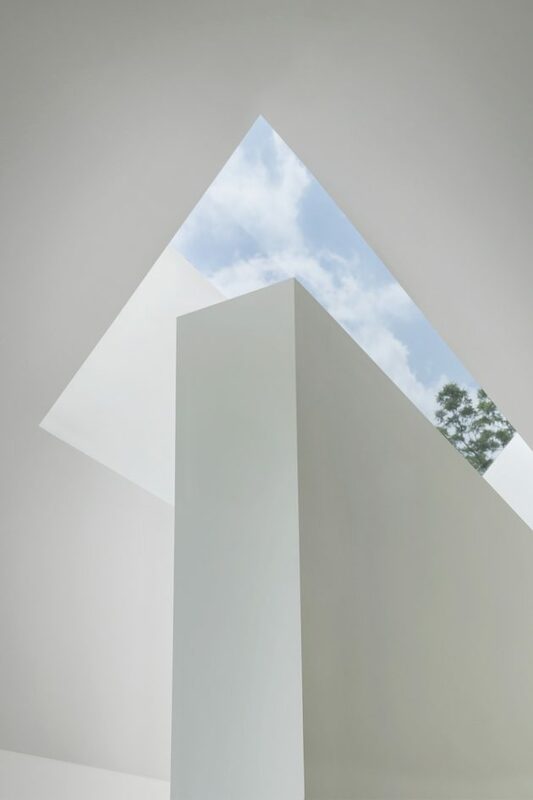 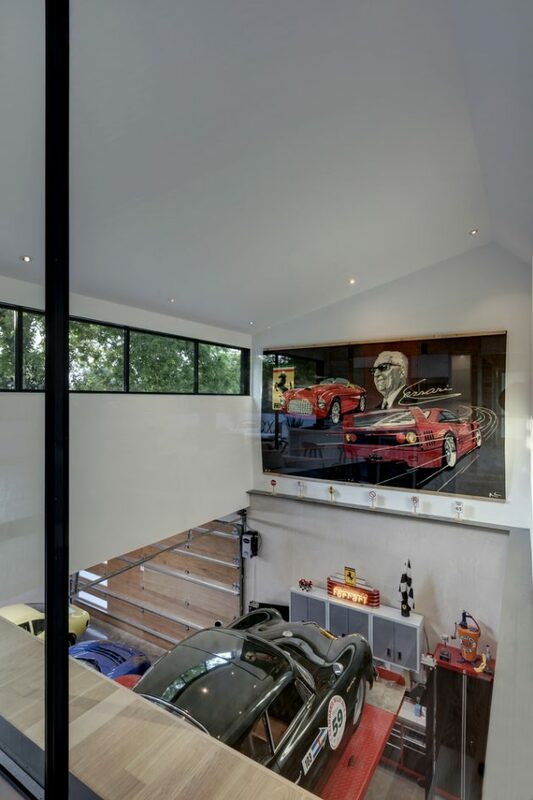 On top of it, the second floor floats above the car display creating beautiful living spaces touched by sunlight through the large windows all around. 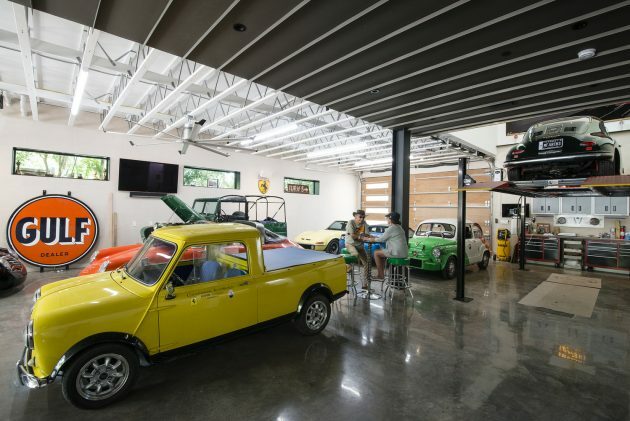 The Autohaus is designed for a pair of former race car drivers who collect vintage cars and teach automotive restoration skills to disadvantaged youth. 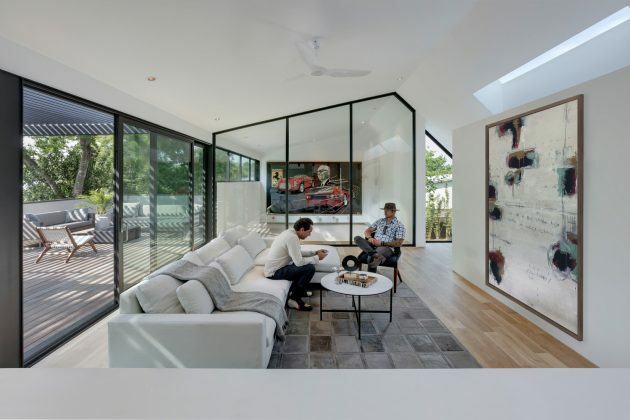 The structure is composed of compact living quarters, expressed as a single mass, floating above an open area for flexible gathering as well as automobile calibration and display. 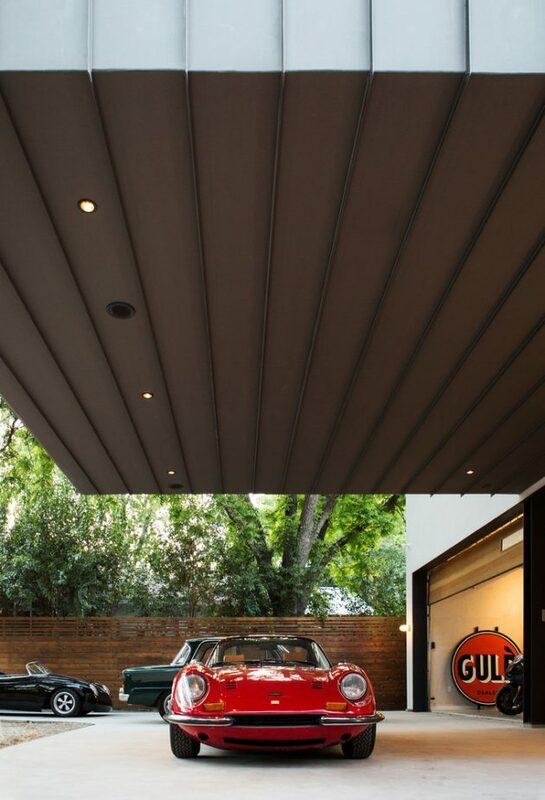 The second-floor volume is shifted forward to allow for double-height views to the garage space at the back, while creating an everyday carport beneath the hovering bed chamber in the front. 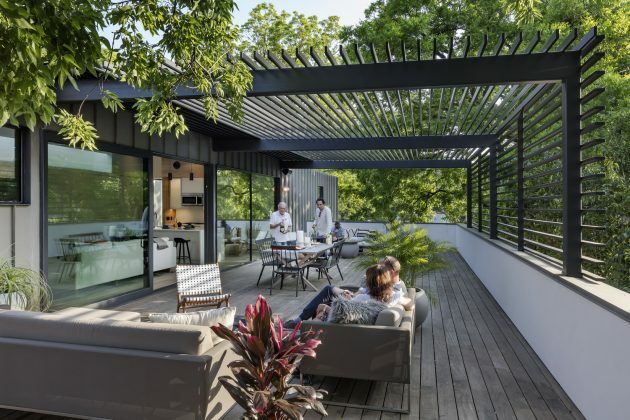 The twenty-foot cantilever is made possible by W30x116 steel beams, and a light-filled stairwell provides physical access between the volumes. 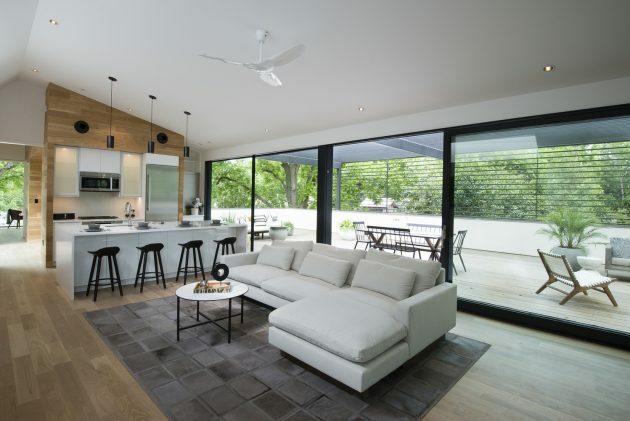 The interior living space opens up to a large roof terrace surrounded by tree canopies, enabling indoor/outdoor living in an urban setting. 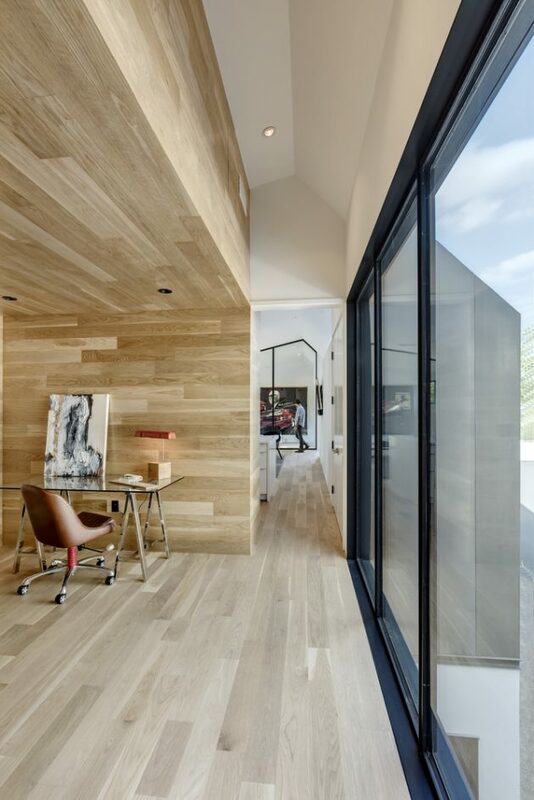 The architecture team collaborated with the contractor onsite to design and fabricate the large custom steel doors and windows. 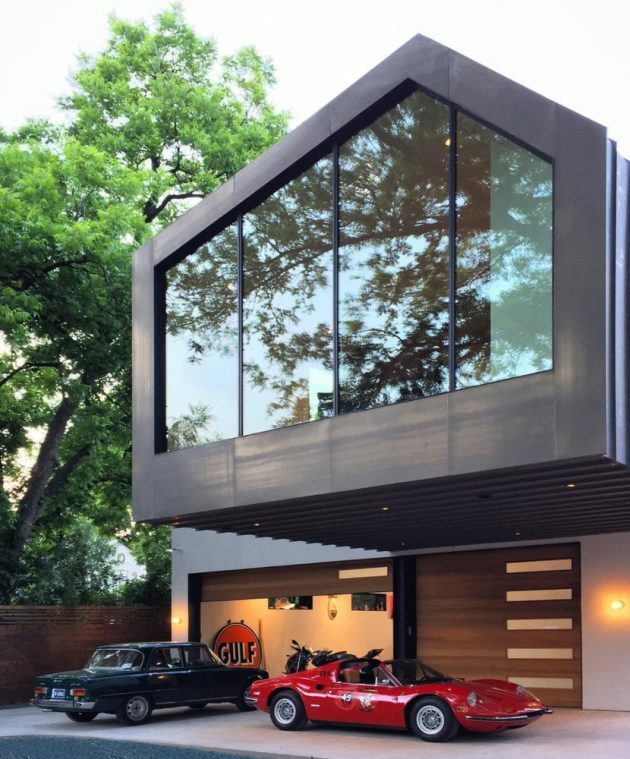 This process allowed for greater quality control, high-end detailing (befitting of the automobiles it shelters), full customization, and immediate installation, to produce a structure for a unique living and collaborative craft experience. 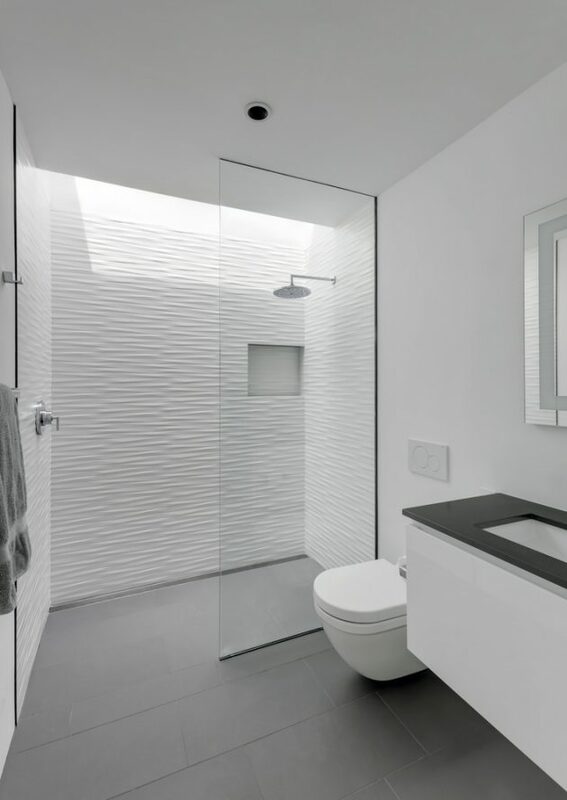 The design of Autohaus employs lightweight insulated concrete composite blocks to provide a higher performing, stronger, and simpler-to-install wall system that exceeds the latest codes. 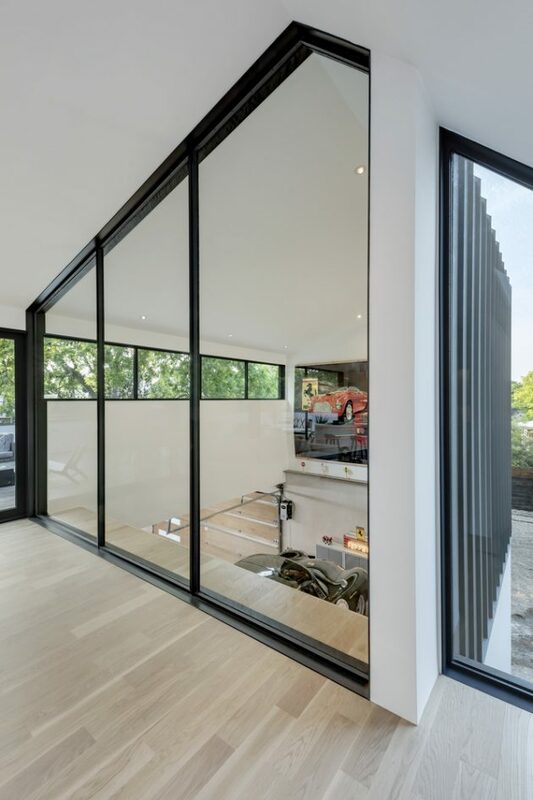 With an airtight and highly-insulated building envelope, the garage space achieves a high indoor environmental quality and durability. 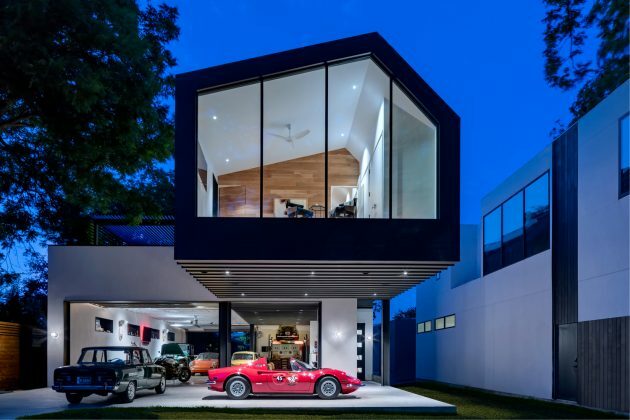 The Autohaus features material and resource efficiency as an intentional sustainable move; using recycled materials, reducing concrete and utilizing an integrated design. 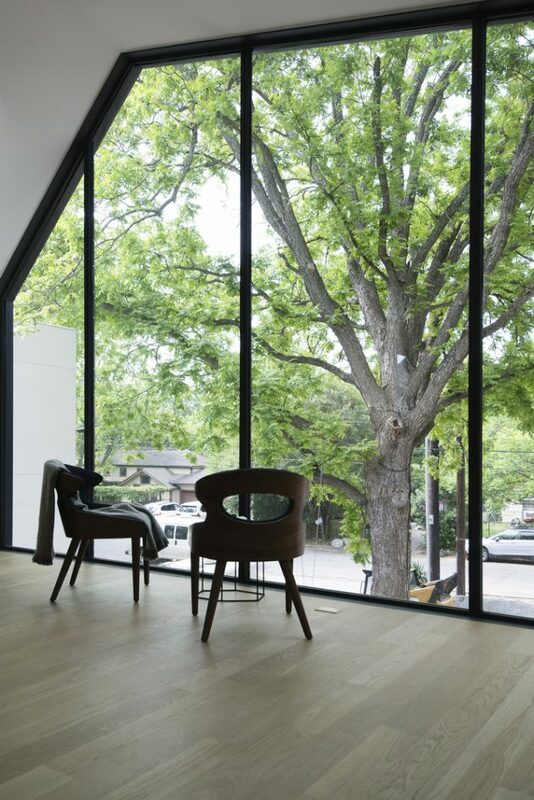 Flexibility and adaptability are also key to the design. 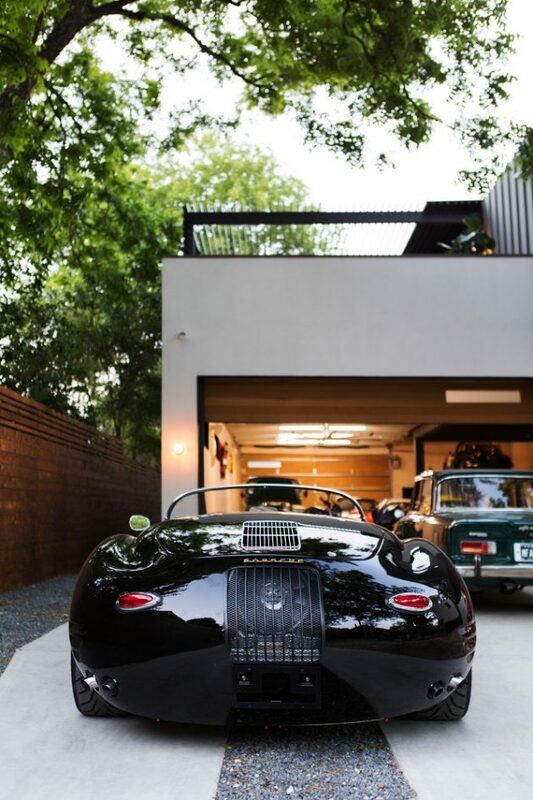 While the garage space is open for gathering as well as automobile display, a future one-bedroom home for the aging clients has been designed and can be easily added inside the garage, allowing the Autohaus to outlive the current use.